An antique play on a home classic. 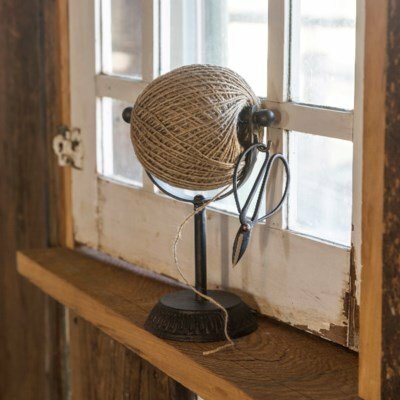 Twine can serve many different purposes in a home outside of tying up turkey for Thanksgiving. Not only can you uses the twin and scissors for various projects around your home these stands also serve as great decor.